All of the meat sold at Indicknowle is from animals born and reared on the farm using traditional farming methods. We farm in a traditional and sustainable way, which supports the well being of our livestock and land. Animal welfare is of paramount importance to us and our livestock lives in a stress-free environment. When ready, they travel only 3 miles to a small local slaughterhouse, before being brought back to the farm shop where the meat is hung. It is then matured in our temperature controlled store to allow the full development of flavour and tenderness. 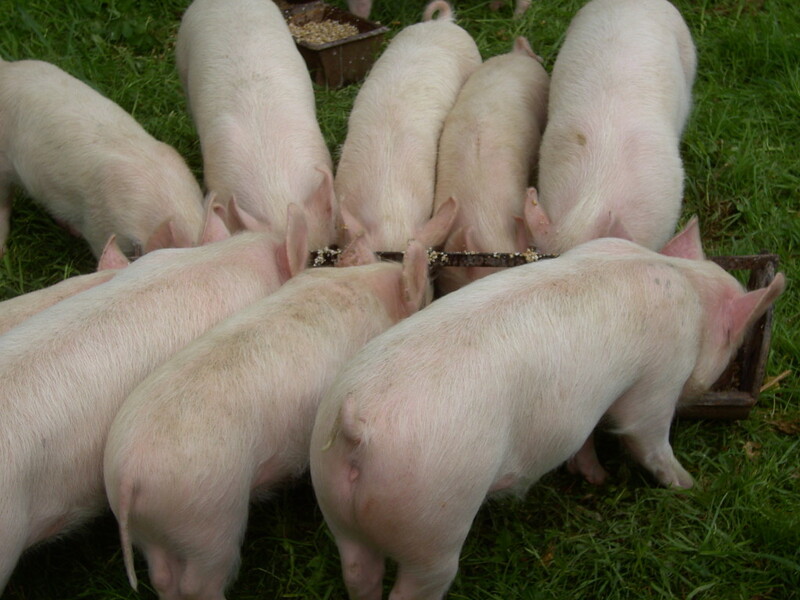 We can supply you with quality Ruby Red Devon Beef, British Lop x Large White Pork, Suffolk x & Texel x Lamb and Mutton. For cooking on the barbecue there are delicious homemade sausages, burgers and kebabs. Alternatively joints and freezer packs are available. We do take advance orders. Because we Solely sell our own produce, availability is limited, and Farmer Mark can`t be in the Butchers shop all year round! Therefore, fresh cuts of meat are only available throughout the holiday seasons; Easter, Summer holidays and Christmas. 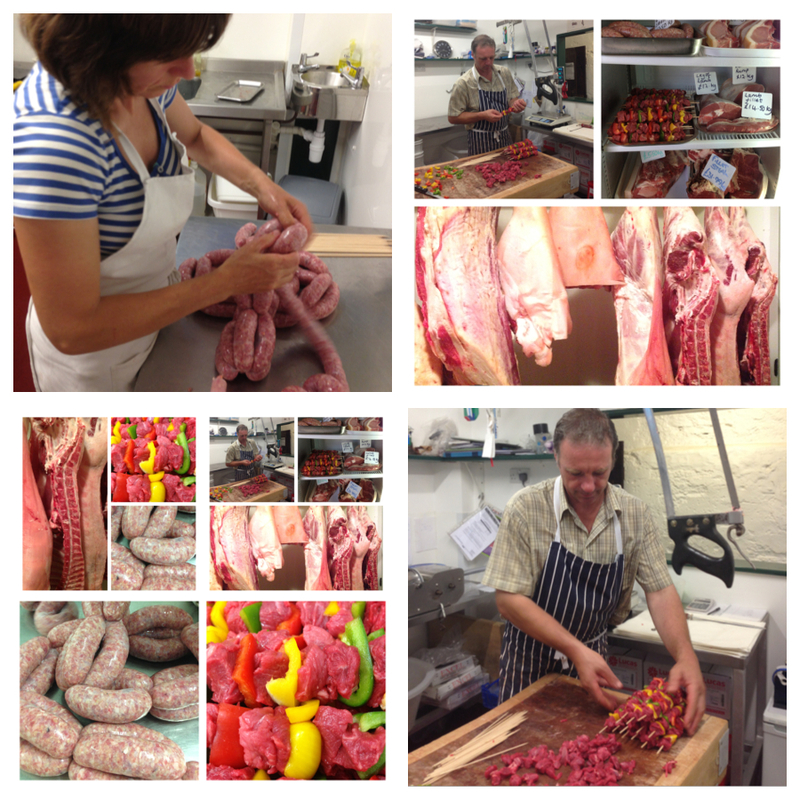 Out of the main holiday season, we can offer a range of hands on Butchery experiences in our shop, using our own reared Pork & Lamb, whilst staying in our holiday cottage. Mark will explain and demonstrate some good butchery and knife skills and you will have the opportunity to try your hand at some butchery, as well as making sausages. 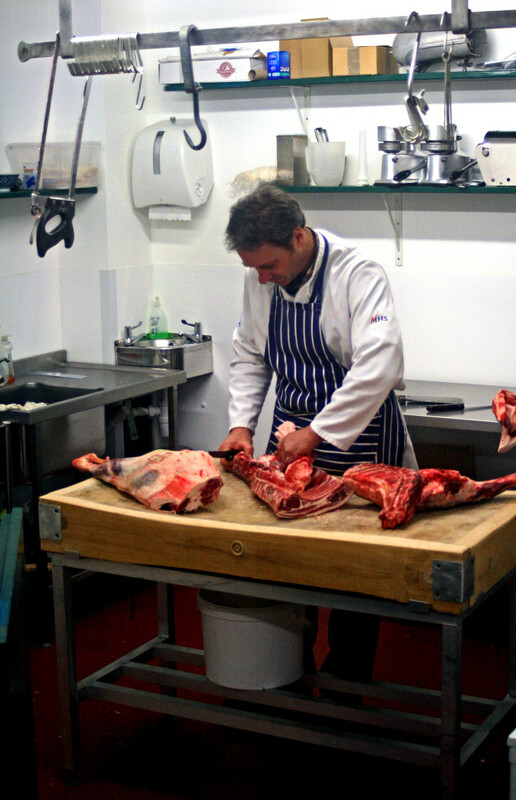 Butchery experiences can be tailored to your requirements. If you think you might be interested, please feel free to contact us for a little chat and more details.